Thanks to them you’ll know what to expect from your instructor and what to do when you’ll decide to hit the water on your own. 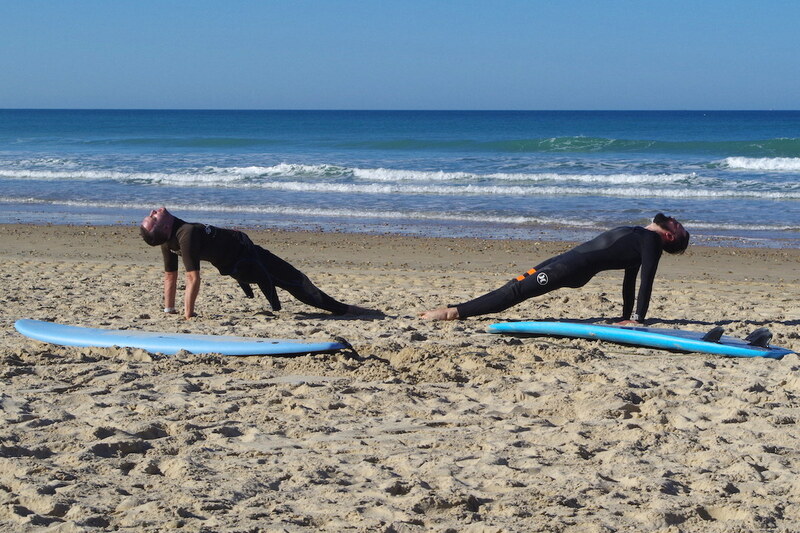 At the beginning of the surfing adventure group lessons are a reasonable option. When you learn to stand up on a board and you slide in the white water, a lesson with couple of other people who like yourself drink too much sea water and take constant wipeouts is a smart decision. But when you want to make progress faster you need to have more of an individual approach which only a one to one session with an instructor can provide. Of course private lessons are more expensive (I paid between 50 and 75 euros for two hour session in Spain) but in my opinion it’s worth to pay. My progress was always bigger after private lessons. Andy: What board do you normally ride? Shape, size volume. Me: Board which I think suits me best – around 8 feet, rather big volume. Andy: When was the last time that you surfed? 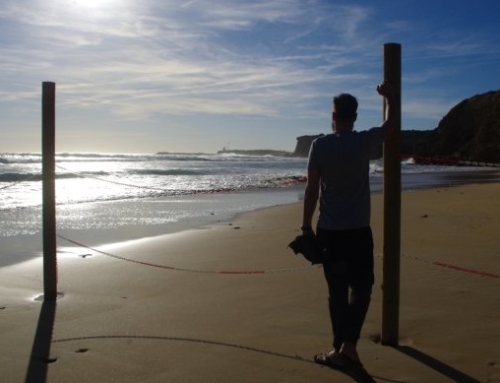 Me: My last surf trip was in November, so that was the last time I surfed. Andy: Do you have some specific goals and objectives that you would like to work on? Me: I would like to work on catching the green waves (getting out the back, reading the ocean and find the right timing to take of). Andy: Okay that sounds great. I’ve got a good idea as to what we are going to work on. 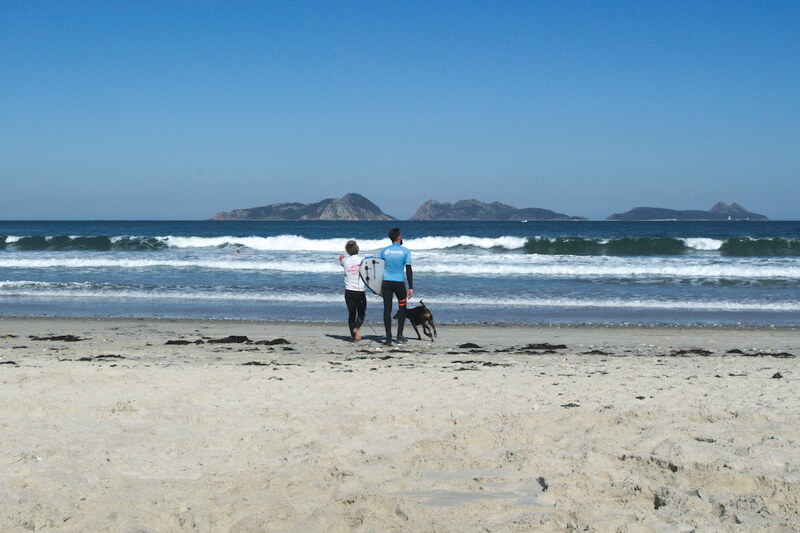 The next day I had one of the best surfing lessons in my life. And the reason was that it was planned from the very beginning. Andy divided our session in two parts. 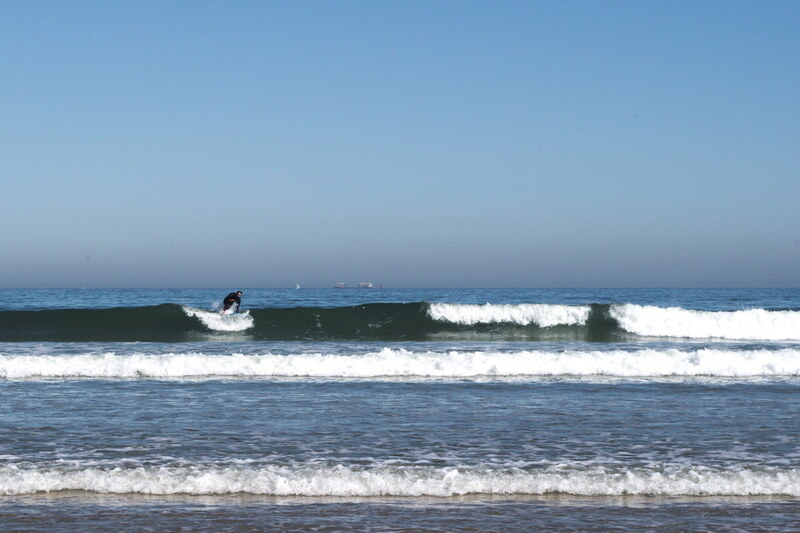 First one focused on getting into a position out the back and the right timing of catching waves. 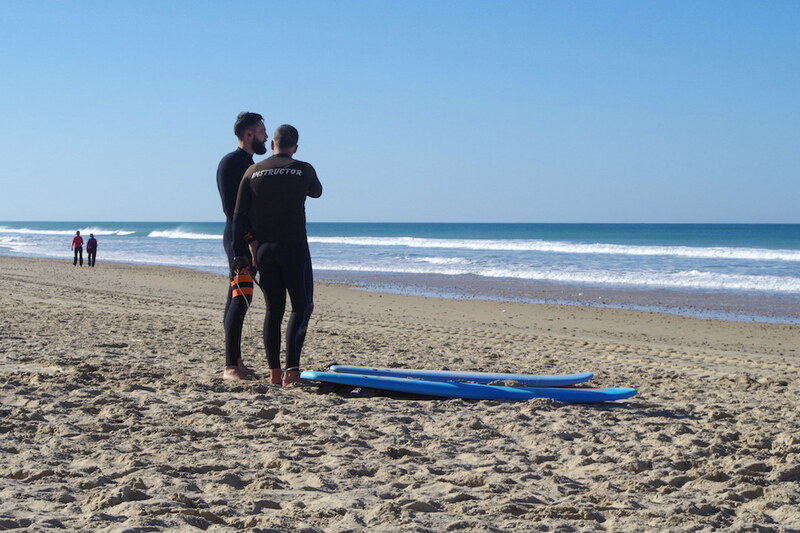 We were working on such things like the smooth transition from sitting position while observing the horizon into paddling position and catching the selected wave (the goal was to do it in one sequence which isn’t that easy when you don’t have experience). In the second part we focused on getting the right posture: body alignment, inertia and compression. 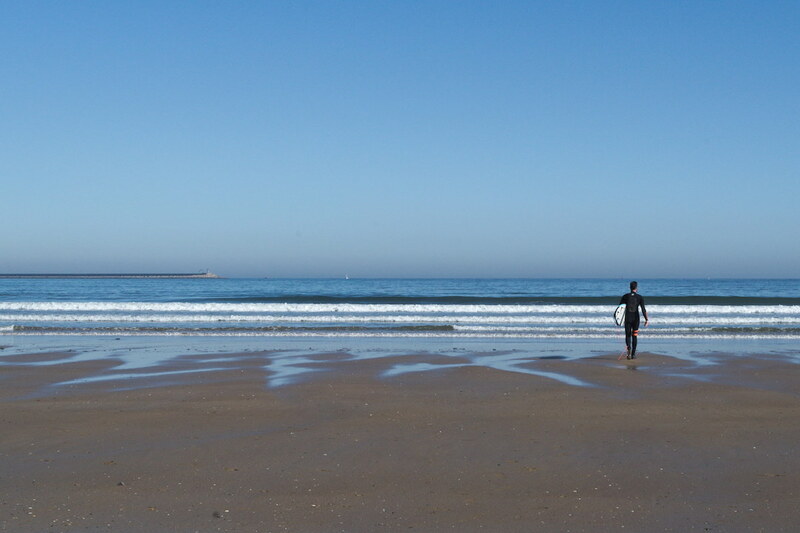 At some point you won’t need an instructor but it’s good to keep setting surfing goals by yourself. It’s like with every other sport activity – you need to warm up before you start. You can make a short (200-300 meters) run on the beach to get your heart pumping faster but the crucial thing is stretching. 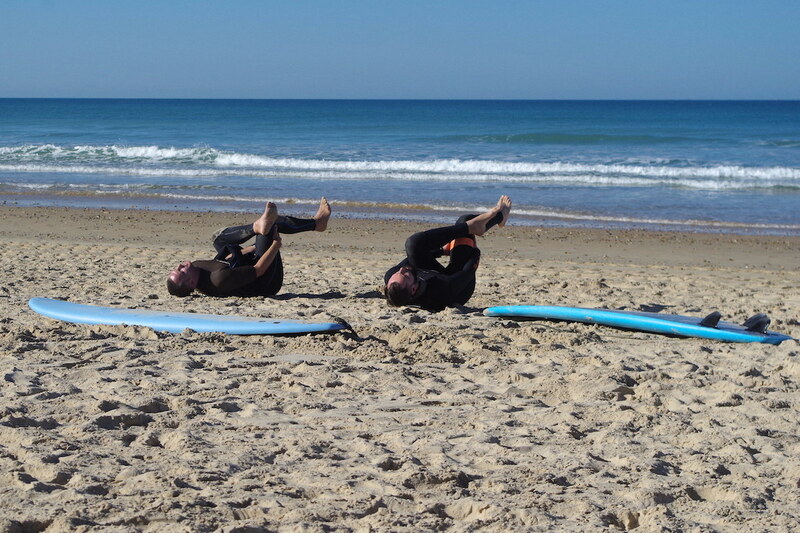 Below you’ll find some basic stretching exercises we performed with Andy before entering the water. I always like to add 1-2 series of pushups and different shoulders „maneuvers” to warm up the upper body as well. This marketing phrase perfectly fits here. 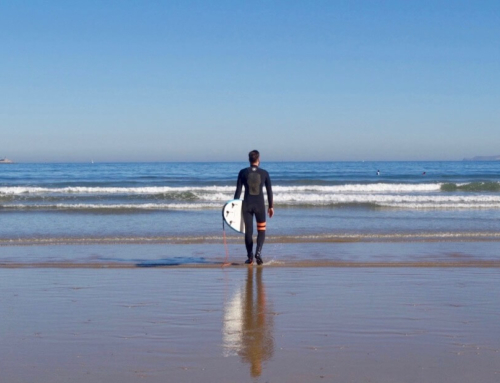 One of the best things of Andy’s teaching routine was a brief brake between two parts of our session to analyze the most important aspects and to prepare to the second, demanding part in which my goal was to catch as many waves as possible. Making those kind of brakes helps you get some perspective on what you’re doing in the water, clear your head for a while, take a look at the ocean from the shore (looking for new patterns, significant changes that influence your session) and… catch a breath. Rule no 5: Have fun! This rule seems to be the easiest one, but for me it’s the hardest. For two reasons. The first one is the ocean itself. I’m a good swimmer and I don’t feel nervous in the open water but it’s still not easy for me to totally relax when waves are pumping and I’m between them. My solution for this was to have fun from wipeouts. I was like „Let it be, that’s how it works, bring it on!” and starting to enjoy this feeling of being in a huge washing machine 🙂 Without wipeouts there is no progress. The second reason is: I want to make as much as possible out of every session cause I get to surf only couple of times a year (at least for now). 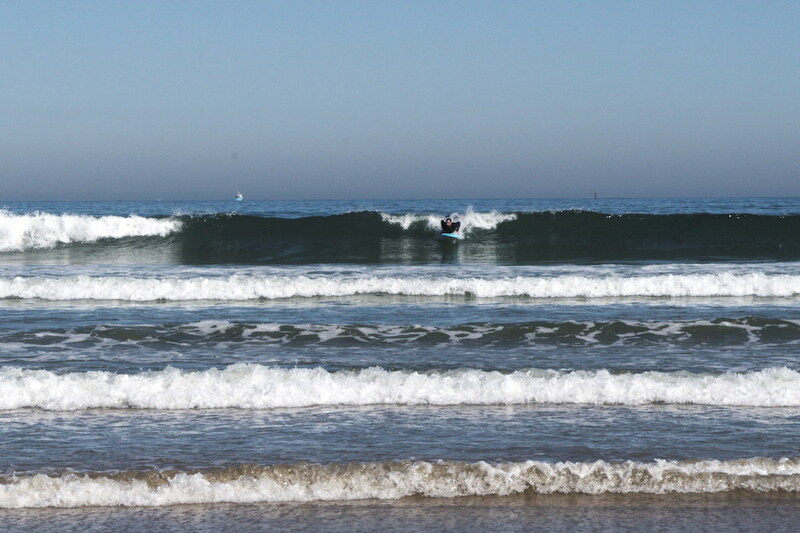 But being stressed because of it is wrong and takes the whole fun of surfing away. 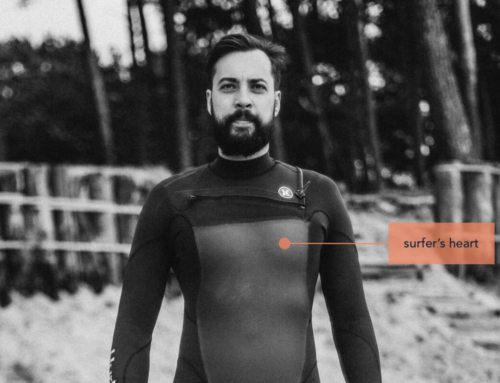 I dealt with this pressure by using my surfing session strategy paired with „just enjoy that you’re here” attitude. For every next session I took in Spain I made a detailed plan of what I will be doing.